Yesterday I should’ve posted a post but I was out in the evening so I didn’t have a huge amount of time to write. Everything I had written in reserve already got posted last week – it’s been busy! What have I been up to I hear you ask? 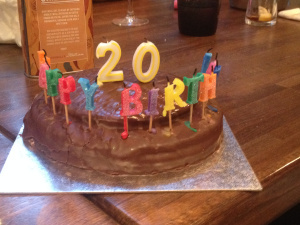 Well yesterday was one of my younger sister’s birthday – Kerry turned 20! 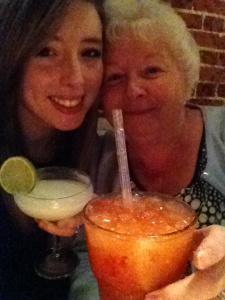 To celebrate we went out for a meal in Norwich at Zizzi‘s and afterwards we went to Revolution to Cuba for cocktails – grandparents in tow! We had such a great time so I wanted to record it down and let you all know what we thought of Zizzi’s. 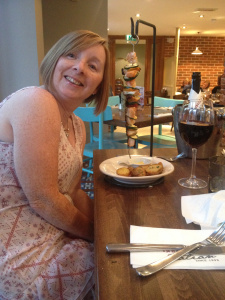 I’ve been to Zizzi’s a few times now and I’ve always really enjoyed it. It has a lovely, laid back atmosphere and I have never had a problem with the service or the food. To start we had bread and olives. 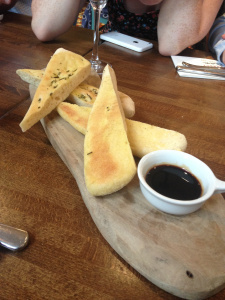 We love balsamic vinegar and oil in our family so we really enjoyed it and we polished it off pretty quickly! Main courses are always very fun with my family as we all have very different tastes in food. 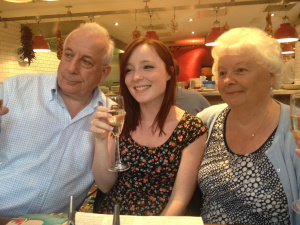 Several of us had Zizzi’s Speidini Pescatore. Speidini was described as “Mediterranean hanging skewers of roasted meat or fish, marinated in olive oil and herbs. Served over Tuscan potatoes with a white wine and lemon sauce” and the particular one they chose had king prawns, salmon, sea bream, peppers and courgettes. That’s what it looks like which I think you’ll agree looks delicious and pretty impressive! They really enjoyed it and it looked so tasty! Definitely one to try if you ever see it on a menu. 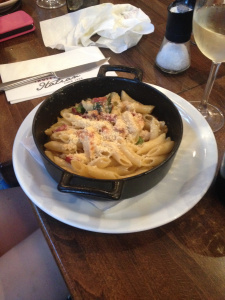 My other sister Christina had Penne Della Casa which was oven baked penne with roasted chicken, pancetta, baby spinach and riserva cheese in a creamy mushroom sauce. This also looked really good and came presented in a cute black bowl. I probably would’ve ordered that too as I love cheesy, creamy pasta! 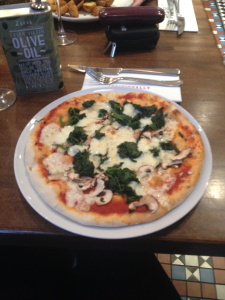 Instead I chose Funghi Classic Pizza with added Spinach. Mushroom and Mozzerella is such a good combination and it was on a really thin crispy base – yum! My Nan and Grandad also made really good choices of the menu. 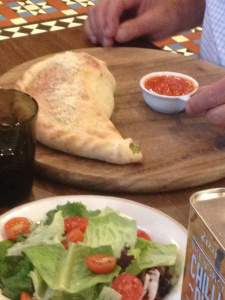 Grandad loves his pizza and went with the Calzone Carne Piccante. A Calzone is a folded over pizza trapping all the filling in the middle. Calzone Carne Piccante was spice piccante chicken, mini beef meatballs, mushrooms, chilli, bolognese and tomatoes. I find that in Zizzi’s, when chilli is in the ingredients, the food comes out pretty spicy! I’m not a massive chilli fan and this was a mistake on my part once before. Grandad enjoyed it but also commented that it was quite hot! Other than that though we all ooh-ed and ahh-ed when it came over because we saw it coming out of the oven and it was huge! Served with a pot of mariner sauce for dipping. 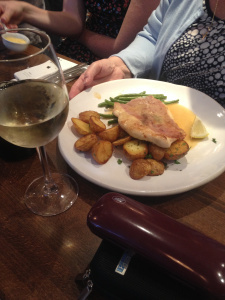 My Nan went for Pollo Proscuitto which was chicken wrapped in proscuitto ham and sage with white wine sauce, served with tuscan potatoes (little roasties) and green beans. 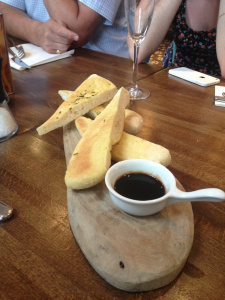 Even though Zizzi’s is a chain, I still felt it served well presented, good quality, authentic italian food and everything we had we really enjoyed – this last dish was no exception! 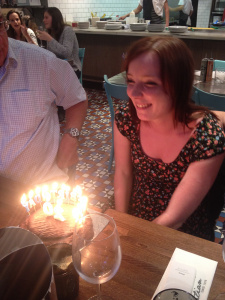 I think Kerry really enjoyed the meal (and her birthday) and we topped it off with a giant jaffacake cake with lots of glittery candles! It was delicious! Italian culture is all to do with family and this meal was so much fun and brought everyone together. But we didn’t stop there – oh no! We were celebrating! 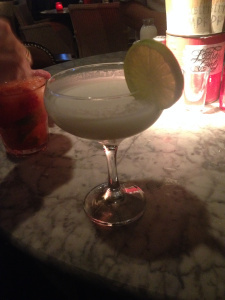 Next we went to Revolution de Cuba a bar specialising in rum from all over the world and a really really long list of cocktails! 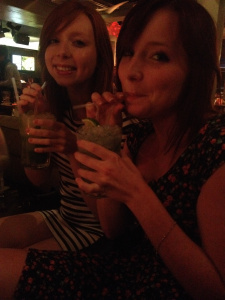 We tried mojito royales, apple and elderflower mojitos, strawberry and raspberry daiquiries and, my favourite, a coconut daiquire. We had a really great time laughing and spending time together and even had some live entertainment! Three generations sitting in Cuba Rev’s having cocktails together was so much fun and something I will remember for a long time!